Henry Brown was born as a slave in Virginia in 1815. He worked for years in a tobacco factory in Richmond but when his owners suddenly sold his wife and three children to a new owner in another state, Henry determined to escape. Hello friends, this is Doug Batchelor, how about an amazing fact? Henry Brown was born as a slave in Virginia in 1815. He worked for years in a tobacco factory in Richmond but when his owners suddenly sold his wife and three children to a new owner in another state, Henry determined to escape. In 1848, he persuaded a friend to build him a wooden box three feet long and two feet wide. After writing “This Side Up” on the outside of the box, Henry squeezed inside and had two friends mail the box from North Carolina to abolitionists in Pennsylvania. Brown’s box traveled by wagon, then railroad, steam boat, wagon again, another railroad, ferry, railroad, and finally a delivery wagon. Pastor Doug: We are back again by God’s grace and welcome friends to Bible Answers Live. It is a live, international, interactive Bible study and we encourage you to interact with us. If you have a Bible question, now would be a great time to pick up your telephones and give us a call and the number is 800-GOD-SAYS, 800-463-7297. We still have some lines open. That’s 800-463-7297 for your Bible questions. We don’t really have any expertise on finance or romance, but we’re going to talk about the word of God and so give us a call with your Bible questions. My name is Doug Batchelor. Pastor Jëan Ross: My name is Jëan Ross. Good evening listening, friends. Pastor Doug let’s start with a word of prayer. Dear Father we thank you again for this opportunity to study your word. We recognize that you’re the author of the Bible and in order to correctly understand it we need your leading. So be with us this evening, be with those who are listening, for this we ask in Jesus’ name, amen. Pastor Jëan Ross: Well, Pastor Doug, you said that there was a Bible character who escaped slavery in a small container. Who was that? Pastor Doug: Well, it was a very small Bible character. Pastor Doug: It was actually Moses. And you can read about that in Exodus chapter 2. I think some of our friends may have guessed, Exodus chapter 2. It starts with verse 1 but it says in verse 3, “When she could no longer hide the baby--it was about three months old then--she took an ark of bulrushes--and ark is a word that just means container and you know most of us pictured it as a round basket, we don’t know what it looked like, it just means container--a container of bulrushes for him, she dabbed it with asphalt--that was like tar--and pitch and put the child in it and laid it in the reeds of the riverbank.” And Moses of course escaped slavery because of that container and we know that God’s used containers before in the Bible to save people, you have the “Ark of Noah” was another container through which people were saved. And the Lord preserved His law in a container called “The Ark of the Covenant.” The Lord wants His law in us. And Christ is to be in us, the word in us is what a Christian is, the Lord dwells in us. But you know even beyond that I think about what this escape from slavery really means. 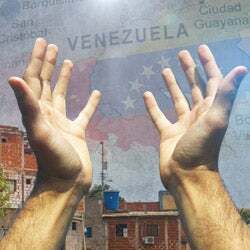 In the Bible Jesus said in John chapter 8; verse 34, He said, “Most assuredly I say to you, whoever commits sin is a slave of sin.” The Bible story is the story of God saving a nation of slaves and liberating them and that’s what He wants to do for each one of us. He wants to set us free from the slavery of sin. One of the prophecies about the Messiah is that He would set the captives free and maybe our friends listening would like to know more about how they can be really free, free not only in their environment but free spiritually because, you know, periodically we meet people who are in prison. I did just this weekend, I was up with our friends in Seattle, Washington up in Auburn, and met some prisoners who went through our Bible school. And when they found Christ in prison they say invariably, “I was more free in prison with Christ than I was on the outside without Him.” And everybody can have that freedom when you have Jesus in your heart. We have a very special offer--I don’t believe we’ve ever offered this on Bible Answers Live, at least I don’t remember, we’ve been doing this for 12 years--but it’s a classic book that is inspiring and it still moves hearts today. It’s a story, it’s a little different from our general studies; this is a true story of a remarkable deliverance from slavery. Pastor Jëan Ross: The book is entitled, “Deathwatch in Siberia” and as Pastor Doug said it’s a story of someone escaping not only a physical prison or restriction but more importantly freedom from sin. And we’d like to provide that to you free, just call our resource line it’s 1-800-835-6747, ask for the book “Deathwatch in Siberia” and we will be happy to send that to you. Pastor Doug: Yeah. And friends you really will be inspired if you order this free offer. If you just need a little spiritual boost, then you want to ask for this and that’s all we’re intending, it’s to just encourage you in your faith with this incredible story. Pastor Jëan Ross: Alright, well, let’s go to the phone lines. Serah is listening on KTIE from California. Serah, welcome to the program. Pastor Doug: Hi, you’re on the air, Serah. Serah: Hi, yeah, I just got a quick question. This one’s a follow-up question from last week and it’s my first time listening. Serah: And a caller had made a comment regarding something to the effect of what happens when we pass on as Christians and you have made an interesting comment on that our next consciousness is in the presence of the Lord but technically when we die we don’t instantly go to heaven or hell. And I just wanted to make sure I heard right or what was your take on it? When Lazarus rose, Jesus didn’t bring him back down from heaven. I wouldn’t want any friend of mine doing that if I was in heaven. Neither did he rescue him from hell. Lazarus makes no comment on his death experience because he’s had none, he, you know, went to sleep in death; he woke up again before he could be resurrected or judged. So some people have sort of adapted. There’s a Greek mythology that found its way-- kind of Roman and Greek mythology found its way into Christian theology back in the dark ages. And they started teaching that people go right to heaven or hell before the judgment, before the resurrection and they got it mixed up with limbo and purgatory and none of that’s in the Bible. The Bible’s very clear, people sleep until the resurrection and the judgment comes after that and the rewards come after that, people don’t get rewarded before Judgment Day. Pastor Doug: Now where does it say that His Spirit was in the depths of the earth for three days? Serah: He said that He descended to the belly of the earth which is in Hades. Pastor Doug: Where? Where does it say that in the Bible? Pastor Doug: Okay. Serah, let’s take them one at a time. Let’s talk about that for a minute, alright. And, you know, I’ll have to budget how much time for this question. Your spirit’s good and it’s a good question. Do you believe that right now up in heaven there are souls that are under an altar crying? Pastor Doug: Are these saved? These are saved beings? Pastor Doug: No, I know what it says, but my point is that Revelation is filled with very interesting symbols. It talks about dragons. It talks about beasts with many heads and many horns. And there’s interpretations for those symbols. There are keys that you can use to unlock those. Psalm 146; verse 1 and 2, “Put not your trust in princes and neither in the Son of Man in whom there’s no help, when he dies his breath goes forth and that very day his thought perish.” I mean there’s just so many verse in the Bible that make it clear that the dead are sleeping until the resurrection. As far as they’re concerned, the saved or even the lost, their next conscious thought is the resurrection and heaven or the resurrection and judgment. But it hasn’t happened yet and I think we get mixed up because-- and I don’t know why anyone would want to believe something other than what the Bible teaches on that. And she also mentioned, Serah mentioned the parable of “The Rich Man and Lazarus,” we’ve even got a book we’ll send you on that called, “The Rich Man and Lazarus.” So please call the resource number and ask for the lesson. Pastor Jëan Ross: The number to call is 1-800-835-6747 and, Serah, the book is “The Rich Man and Lazarus” and then also a study guide called “Are the Dead Really Dead?” So for anyone wondering about this important Bible topic, go ahead and call and receive that free offer. We’re going to go to our next caller Brian. He’s listening on the internet from New Mexico. Brian, welcome to the program. Brian: Good evening fellows. I just wanted to quickly add to the references you just gave the girl before there, you have a website out as well that’s called deathtruth.com and I think that website is excellent as well. Brian: Yeah, you have a lot of Bible questions. Pastor Doug: …a whole encyclopedia of answers on the subject of death. So Serah, if you’re still listening, deathtruth.com. Thank you, Brian, for reminding us and you’ve got a question I assume. Brian: Yes, I was looking at a few opinions on how old the world is and one person brought out that you can add up the genealogies and things like that and come to a conclusion as to how old the world is. Well, I was wondering according to the Bible how old-- when God began to create humans and everything else, did He create the world at that same time? In other words, how old is the world? Pastor Doug: Alright, good question. And some of our friends out there have heard of probably the most famous chronologies called “Bishop Ussher’s Chronology” and he very carefully tried to calculate all the different ages in the Bible, he came up with the age of history of man at about six thousand years. In other words, you can add up, you know, the ages of Adam, how long he lived until Seth was born and so forth, and it comes to about six thousand years. No one knows exactly because there’s a couple of nebulous areas, for one example is, it says “Noah lived six hundred years and had Shem, Ham and Japheth. Well, they weren’t all triplets, it doesn’t tell exactly what year, there’s no dates given how old they were when they were born or who is the firstborn or how old he was when he had his sons. So there’s some confusion right there around Noah. But the world, planet, material may have been here long before Adam was creates because it says, “The earth was void and without form,” so God may have had this big old nondescript asteroid floating around out here. Pastor Doug: Well, you know, God is infinite, this massive rock could have been here for who knows how long? There could be some scientific truth to, you know, some of the dating they did of rocks, how they did rocks, I still don’t know because all of their information would be flawed. But when God began to form this planet, He may have started with mass that He had created, you know, aeons ago, we don’t know. But the history of man and the history of life on this planet only goes back about six thousand years. You know what’s interesting? I’ve seen a lot of really incredible studies, for instance, you look at the oldest trees in the world and there is no reason a red wood would suddenly get old and die after four thousand years. But they can’t find any that are older than they date back basically to the flood. The oldest trees are the bristlecone pine in the White Mountains here in California. They can’t find any of them that date back more than, I think it’s like forty-three hundred years. If you count back the history of man based on population growth around the world, you look at how populations grow, there is a scientific method, you even factor in plagues and war and it would take the history of man back about six thousand years or actually about forty-two hundred years because of the flood. So there’s a lot of things that point back to written history, how come man suddenly springs out of the caves and can build pyramids and write, four thousand years ago? It’s kind of strange how he goes from being so primitive to being so sophisticated overnight. You know what I’m saying? The mathematics, science involved in building the pyramids and these other incredible civilizations around the world, I think there’s good evidence for history just going back six thousand years. Brian: Okay. One person I was thinking of when I was asking my question is, I know a scientist named Robert Gentry did a study on granite. Pastor Doug: I know Bob Gentry. Brian: Yeah, and, you know, I guess he concluded that the world is younger than-- I don’t remember exactly-- but younger than about ten thousand years. Brian: Right. Would you tend, I mean, to agree with the earth, you know? I mean if the world was here aeons ago, I mean, would you tend to agree with those types of studies? I know there’s many more that have been done in that area. Pastor Doug: When I do that, Brian, I’m getting out of my area of expertise because the Bible doesn’t address that. What I can tell you is the Bible says, “The earth was void and without form,” leading me to think there was some mass here when God came to this corner of the dark universe and began creating. So, you know, whether He created the mass that day or how old it is, I don’t know. I have a lot more trust in Dr. Gentry’s science than the science of the people who have an evolutionary bias. But, you know, we’ve got some good books that deal a little bit with the subject of creation, matter of fact Amazing Facts carries Dr. Gentry’s book in our catalogue but it sounds like you’ve already read that. We can send you a free copy of “Wonders of Creation” that talks a little bit about creation as opposed to evolution. Pastor Jëan Ross: The number to call is 1-800-835-6747. 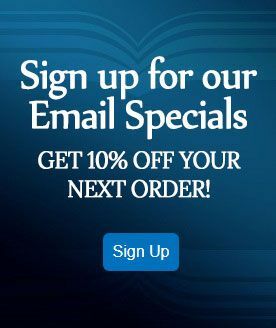 You can ask for “Wonders of Creation,” we’d be happy to send that to you. Moving on to our next caller, Emile is listening on the internet from Northfield, Massachusetts. Emile, welcome to the program. Emile: Good evening. I have a question regarding to my nephew. He’s living with a girlfriend and they’re not married. And they plan to come to visit me and I wonder if it’s a sin for me to have them sleep under my roof in my house? Pastor Doug: Because, you know, you don’t want to wink at adultery under your roof. Pastor Doug: Yeah, you become then an accessory, in some way. So, yeah, a matter of fact a few years ago--I don’t know if anyone remembers this--you could not rent a hotel room in North America if the proprietor didn’t think that you were Mr. and Mrs. Smith. You know, the reputable hotels would not rent the same room to a man and woman they didn’t think were married. And things have really changed. Pastor Doug: So, yeah, I’d encourage you to, you know, just share your faith, say to your nephew, “You know, we love you and we’re happy you’re planning on getting married but until you’re married under my roof you guys can’t stay in the same room.” And, you know, they’ll probably giggle and say, “Okay, well.” But they’ll respect you for it and you’ll be sending them a good message. Emile: Yes. Okay, thank you very much. I appreciate. Pastor Doug: Alright, thank you, Emile. Pastor Jëan Ross: Henry is listening on WMCA from New Jersey. Henry, welcome to the program. Henry: Question is King Saul, was he saved in the end? Pastor Doug: King Saul, I would believe it’s very unlikely he was saved in the end because the last act of his life was God does not speak to him because he’s basically grieved away the Holy Spirit. He consulted priests and Urim and Thummim; of course, he had killed the whole town full of priests. He goes to visit a witch and then he despairs and without hope or faith he falls on his own sword. So when you look at the criteria for salvation, there were certainly no-- you know, it says, “You’ll know them by their works,” his works did not indicate that he was saved. He had lost faith and without faith it’s impossible to please God and the last act of his life was murder, self murder. Pastor Ross. Pastor Jëan Ross: And of course, the Bible tells us that “the spirit of the Lord had left Saul.” The Bible also tells us that “it’s the goodness of God that leads us to repentance.” So if he had so hardened his heart that even the Holy Spirit had left him, there is not much room for repentance. Pastor Doug: Well, it might depend on what version you’re reading, the wording maybe a little different. Henry: Yeah, this would have been New King James. Henry: Yeah, and I’ve heard another person share the same thing with me too. And it’s just at that point I had a little question as to whether is this, you know, somebody that’s being taken out. And of course, ultimately that when people die everything is under God’s control, like all those other things that you pointed out I agree that doesn’t show any fruit in his life. Pastor Doug: Well, I don’t know. You know, when it says that “the Lord slew Saul,” I think it’s simply meaning that God withdrew His presence from Saul and he pretty much self-destructed at that point. But still I looked in the New King James, I can’t find the verse. I believe that there’s probably something similar that you’re talking about there. Oh it says “God rejected Saul.” I’m not sure what the other passage is. Henry, I hope that helps a little bit. I wouldn’t be waiting by the tree of life for very long to find Saul there. I think the Bible record is that his prospects are pretty bleak right now but hope that helps a little. We’re going to try and get one more caller, Pastor Ross, before our break, can we do it? Pastor Jëan Ross: Yes. Jane is listening on KADV from Modesto, California. Jane, you’re on the air. Jane: I don’t understand. Is He saying that once the word of God comes to us that we are God? Pastor Doug: No. Well, Jesus is saying that man was given dominion of the world. First of all, Christ is quoting Psalm 82; verse 1. And it says “God stands in the congregation of the mighty he judges among the gods,” and the word ‘gods’ there means the leaders, the rulers. And the Lord is basically saying, “Adam was made in the image of God” and in the same way that God creates Adam was allowed to procreate. In the same way that God has authority and dominion over the universe, man was given dominion and authority in this world. And so Jesus is saying that it shouldn’t surprise the Jews that He refers to Himself as the Son of God because after all the Lord refers to man as the God of this world, so to speak, until He surrendered that to the devil. So I don’t know if that helps a little bit, Jane. Pastor Jëan Ross: Also, just to add to that, Pastor Doug, in Psalm 82; verse 6, the passage that Jesus is quoting from, it’s in reference to the judges as being described as gods, they’re the ones who received the law and they were the ones who’d execute wisely and in that respect they were to judge. Not that they were gods but they functioned in the capacity of determining someone’s guilt or innocence. Pastor Doug: That’s right. Matter of fact, the Lord even said to Moses, He said, “I’ll have you stand between me and the people.” And so he was a representative. Well, I hope that helps a little bit, Jane. We didn’t mean to rush your question. We’re going to be taking a brief break, friends, and we’ll come back. We’ve got some very exciting things to share with you that are happening in Amazing Facts, so don’t go away, more Bible questions coming up. Pastor Doug: We’re back friends and if you’ve tuned in along the way you’re listening to Bible Answers Live. This is a live, interactive Bible study and we invite you to give us a call if you’ve got a Bible Question. The number is 800--free phone call--463-7297, make sure your question is a Bible question. And just before we make some of these important announcements, during the break we were looking up a question that Henry has asked and it was about King Saul. We did find the verse and it’s 1st Chronicles chapter 10:13, matter of fact, I think one of our friends called in and helped us find the verse. 1st Chronicles 10:13 and it doesn’t actually say “killed Saul,” it says “killed him,” and that’s why we couldn’t find it in our search. Let me read this for our friends. “So Saul died for his unfaithfulness which he had committed against the Lord because he did not keep the word of the Lord and also because he had consulted a medium for guidance. But he did not inquire of the Lord therefore He killed him and turned the kingdom over to David, the son of Jesse.” And so, yup, that’s what the Bible says, friends. You know, we had a few questions tonight on the subject of death and we were reminded that we’ve got a whole bouquet of websites that deal with certain Bible specifics. We have the website called “Truth About Death.” If people have questions about what the Bible really says about death, are your loved ones that have passed on, are they watching, are they haunting, do they come back and visit? Do they turn into ghosts or angels? There’s a lot of confusion even among Christians about what happens when a person dies and they shouldn’t be. The Bible is very clear. Just go visit that website truthaboutdeath.com. We also have websites that deal with prophecy. Several of them matter of fact “Prophecy Code” being one of the more popular ones. If you go to the Amazing Facts website, you know, we’ve just redesigned our whole website. I was looking this weekend at the hotel room up in Seattle, I found out things I didn’t know. And they’re the main menu bar of our website. There is a place where you click on prophecy and it’ll give you a bunch of prophecy studies, sermons you can listen to, there’s lessons you can study, there’s audio presentations on prophecy. But there’s a lot of information links there. We get a lot of questions on the subject of the Sabbath, sabbathtruth.com, probably one of the most popular and best respected websites with biblical information on this very interesting subject of the Bible Sabbath. And coming up, there’s another website, we’ll tell you the website first and we’ll tell you what it is, it’s amazingfactskid.com, .com and .org I think, amazingfactskids.com, .org. And we’re doing a special program. You want to tell us about that, Pastor Ross? Pastor Jëan Ross: Sure, we’re excited about that, September 12th-20th Pastor Doug and myself will be in Dallas and this is a series geared just for kids between the ages of eight and twelve and it’s ten presentations in all of the fundamental teachings of the Bible. We’re going to deal with subject like, well, what happens when someone dies, we’re going to talking about heaven, we’re going to talk about the second coming, just a whole host of exciting topics that we’re going to be addressing and along with that, Pastor Doug, we’ve got some brand new lessons. Pastor Jëan Ross: That I’ve actually had the opportunity to share some of the lessons with my kids and I have a ten-year-old, so I just wanted to get his feel for it and well, he loved it. So I know there’s a lot of children out there that will love these new lessons. Pastor Doug: That’s right and the program is called “Amazing Adventure.” We’re telling you because just about anywhere in the world you can participate, it will be on 3ABN, 3 Angels Broadcasting Network, Hope Channel, it will be on the internet and so just about anywhere unless you’re isolated in a coalmine somewhere, you should be able to tune in. Pastor Jëan Ross: And, you know, someone might be wondering, “Well, how can we get involved?” Well, there’s several ways, you could have your church host this series, you can host it in your home, if you have children about that age you can invite them to or have them invite their friends to come and try to watch it right there in your home. If you’re a teacher or involved with a church school, that’s a great venue to do the series as well, you might want to tape it the night before and the next day broadcast it or show it to the children during their Bible class, but there’s many ways that this can be used to bless young people. Pastor Doug: Yup, and it’s especially focused on children during that golden age between eight and twelve when their hearts are very tender and receptive to the gospel and the main purpose we’re doing these meetings is to lead the young people to begin a life adventure with Jesus to accept Jesus as their savior. So Amazing Adventure September 12-20 please pray for us and sign up your group. Are we ready for more questions? Pastor Jëan Ross: Okay. Yes, we’re going to the phone lines. Thomas is listening on WMCA from New Jersey. Thomas, you’re on the air. Pastor Doug: Pardon the pun. Thomas: Yeah, really, it was just unbelievable. So here’s my question as best as I can do it, and there’s death, there’s the grave, there’s judgment and there’s hell or heaven, is hell eternal and if not, is that anhilationism? Pastor Doug: Alright, when you read in Revelation 20, “Death and hell are cast into the lake of fire,” now that almost sounds like hell is going to hell. I don’t mean to be crass but that’s how it sounds. Thomas: Well, no that’s what I mean. Yeah, that may be where my confusion lies. Pastor Doug: Well, it’s because the word hell most of the time in the Bible is with the word grave. There are four words in the Bible that are translated as the word hell, I think the most common Jewish word is Sheol. It just means the grave. That’s all it does. The word Sheol is the grave. And then in the New Testament you’ve got the word Hades which is a place of darkness in Greek mythology, it was the underworld where Pluto was the god and it was often referred to as the grave as well. You got the other word then which was Gehenna, Gehenna was the dump outside of Jerusalem. There was a very steep valley, they could not build on it and they would throw the garbage out there and the kept it burning to keep the gases down and it was full of worms and unclean animals that died, they’re drag out there. And that’s why Jesus said, “You’re better going to heaven with an eye plucked out and a hand cut off than go into Gehenna.” The word He said there for hell was Gehenna and that was the dump outside Jerusalem where the worm does not die and the fire is not quenched because it was always smoldering, it was full of worms. Thomas: So that’s actually a place? Pastor Doug: It’s a real place, yeah. Pastor Doug: And any commentary. Doesn’t matter what denomination will tell you that. Pastor Doug: And then the last word I think is only used once, it’s Tartarus, and it just means a place of darkness, like the angels are held in everlasting chains of darkness. So when you read about hell so many people have built a doctrine that has come largely from Roman and Greek mythology about-- you know, you’ve heard about Pluto and The Hounds of Hell and, you know, this is all from Greek mythology, it’s not in the Bible. Thomas: Forgive my interruption but what about the term anhilationism is? I said that to someone and they said, you know, I’m confused as to where that fits in, I mean if hell is not eternal, right, am I correct there? Pastor Doug: You’re correct. Well, you’re on your own. Let me explain, the punishment is eternal. Pastor Doug: In other words, if the penalty for sin is what? Pastor Doug: Death. Did they ever get a second chance or is it eternal? Thomas: Death is final and eternal. Pastor Doug: And so when the lost are cast in the lake of fire and every man has punished according to what he deserves and then you read in Malachi “the wicked will be burnt up and never shall they be anymore,” their punishment is eternal but they don’t burn eternally. That’s what gets people. Some people have a hard time letting go of this medieval idea about hell. Pastor Jëan Ross: You know, I think one of the clearest text and, Pastor Doug, you alluded to it, Malachi chapter 4 in the first three verses says, “Behold the day is coming that shall burn as an oven and all the proud, yea, and all that do wickedly shall be stubble and the day that is coming shall burn them up sayeth the Lord of hosts. It will leave them neither root nor branch but those who fear my name, the Son of Righteousness with healing in their wings.” And then it says, “And you shall go forth and grow up as calves of the stall and you shall tread the wicked for they shall be ashes under the soles of your feet in the day that I do this.” So the Bible is very clear that the wicked will finally be destroyed, they’ll be burnt up. Nothing will be left but ashes. Pastor Jëan Ross: Helltruth.com or .org. Pastor Doug: That’s a very intriguing website. It’s got an interesting homepage but it sounds kind of ominous but it’s very well documented biblical-- we’re going from the Bible perspective, I mean, there’s all kinds of zany ideas out there, people say, “Well, I had a dream,” we don’t go by people’s dreams, we go by what does the Bible say. Pastor Jëan Ross: You know, Pastor Doug, something else on this topic, it’s interesting but of late, there’s been some very well-known evangelical leaders that have actually come up on the side of hell burning up the wicked and then the fires going out. Pastor Doug: Oh yeah, Pentecostals like Edmund Fudge and the famous Bible theologian John Stott and many others, they just say, you know, you cannot deny it biblically, it’s such a strong case. 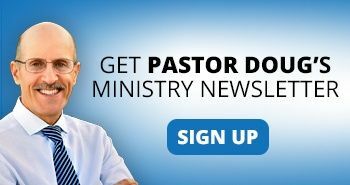 Pastor Doug: .com. Matter of fact, I’m pretty sure if you dial in helltruth.org you’d find it also. I’m sitting here with the internet logged on and yup, helltruth.com. Pastor Doug: Well, you know, it’s a very important-- I’m taking more time with your question, Thomas. Pastor Doug: Because I remember when I didn’t understand this, I used to believe that you’re good you go to heaven; you’re bad you die, you go to hell and you burn through all eternity for the sins of one brief lifetime. Thomas: And I would say that was the general consensus that I got today from posing this question to people, that’s exactly what they said. Pastor Doug: I know but when you think about it, that’s a horrifically unjust punishment. Thomas: I find that very true. Pastor Doug: And I would not do that to a dog. 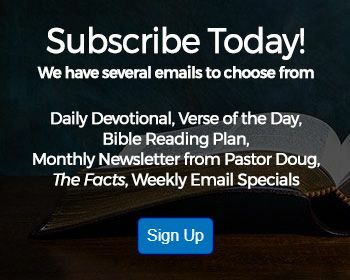 Pastor Doug: And then Job asks the question, “Is mortal man more just than God?” But yeah, take a look at the website and then call us back, let us know what you think. Thomas: Okay. I want to get my apologetics correct here, you know, so I can really be, you know, positioning myself that showing the truth of the gospel. Pastor Doug: Well, you got the Bible on your side with this subject, don’t worry, and it does portray God as a God of love and justice. Thomas: Well, thank you, Pastors and blessings upon you. Pastor Doug: God bless. Yeah, don’t be discouraged by some of the popular misconceptions. Thanks, Thomas. Appreciate your call. Pastor Jëan Ross: Our next caller is Dally listening on WMCA from Brooklyn, New York. Dally, are you there? Dally: Yes I’m here. Good evening, Pastors. Dally: Yes. Thank you so much for taking my call. I’d like to know, based on the Bible, how much authority does God give in a pastor as far as leading the congregants? You know, can the pastor, let’s say, dictate congregants, you know, where to go to church, when, you know, service at his or her church is not in session? Because I’ve experienced that this pastor actually tells his congregants and I think God might be calling me to that church even though I don’t really want to, it might be God’s will for me, that she actually-- let’s say, if you want to go elsewhere to a service, she doesn’t really accept that when service is not in session. I mean, can I really accept that? I mean, why is that? I don’t feel comfortable. Pastor Doug: Well, let me give you the best criteria to follow, sister, is if somebody-- first of all, a good shepherd should be leading the sheep and not driving them. The idea is that you want to lead them by example. you want to make sure that they have the word that they’re following. And then, you know, the pastors life ought to be reflecting the word of God. And, you know, if they’re teaching something that is not biblical, then that to me is a cause for a concern and that’s why it’s important for every member to study their Bible to know. And you want to be supportive of the pastors, both Pastor Ross and I are pastors and, you know, everybody deals with difficult members sometimes, though we sure like the supportive ones. But at the same time there’s accountability, pastors do need to be accountable and be following the word. Pastor Doug: Yeah, we’re here. 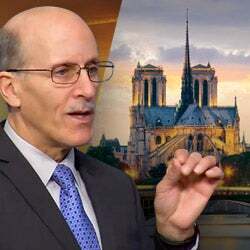 Pastor Doug: Well, now just for clarity, if your pastor is uncomfortable with your attending another church that’s teaching some heresy, I can understand that. Pastor Doug: If they’re concerned about your worshipping with another congregation that believes the Bible, well that seems like they’re being possessive and that may not be appropriate. Dally: Well, that’s what I really, you know, believe and I feel like God might be leading me there for a purpose, Pastor. Pastor Jëan Ross: And the number is 1-800-835-6747 and asks for the study guide “Search for the True Church,” and we’ll be happy to send that to you. Pastor Doug: Yeah, it gives some good guidelines on how do you pick a church. Pastor Jëan Ross: Our next caller is, let’s see, we’ve got Johamus calling from Edmonton, Canada. Johamus, welcome to the program. Johamus: Hello. Hi how are you? Pastor Doug: Evening. How can we help you? Johamus: I’d just like to ask you a question regarding music as a Christian. Pastor Doug: Okay, music for a Christian. Johamus: What type of music we need to listen as a Christian and what the Bible says for example. Pastor Jëan Ross: Oh, was looking up a verse (laughing). Pastor Jëan Ross: Oh you play it by ear, is that what you were saying? Pastor Doug: But, you know, any music that is accentuating the carnal nature, Johamus, is probably not the right kind of music. Now it’s okay if music has a rhythm. I mean even of you sing the song “shall we gather at the river,” there is a rhythm there because if you don’t sing with some rhythm, then everybody is offbeat or out of sync. So there needs to be a harmony. There needs to be a rhythm. But there are some rhythms that are more like a march and the children of Israel would sing some of these songs like battle songs, songs of victory. But then there is music that is seductive music and obviously you would play a different kind of music to put a baby to sleep than you would play to inspire an army. So the right music for the right occasion is also something to consider. When I get together with my friends around the campfire, we might sing some folksongs that we would not necessarily sing during the worship hour in church. So the occasion is also something to consider. Pastor Ross? Pastor Jëan Ross: Philippians chapter 4; verse 8, we have the counsel, “Whatever is true, whatever is honest, whatever is just, whatsoever things are pure and lovely, whatsoever things are of a good report, if there be any virtue, if there be any praise think on these things.” I think that principle can be applied to music. Pastor Doug: And obviously it’s not just the music but if the music is beautiful but the words are diabolical, I’ll catch myself sometimes walking through the supermarket and they’ll be playing one of these old songs that I remember from my BC era, Before Christian and the melodies are inspiring but then I remember the words that go with the melodies that are just, you know, very unchristian. So you’ve got to keep that in mind as well. Are you still there, Johamus? Pastor Jëan Ross: The number to call for-- well, actually you spoke about the website, didn’t you? Pastor Doug: Well, yeah, you can go to the website. Pastor Jëan Ross: That’s just amazingfacts.org. Pastor Doug: Yeah, you can order the book “Notes on Music” there or he can listen to the messages on the subject. Pastor Jëan Ross: Alright, our next caller is Dorenda calling from Michigan. Dorenda, welcome to the program. Pastor Doug: What is the best way to worship God is to do it the way He said. Dorenda: To worship in spirit and truth. Pastor Doug: In the last days the argument is, “Do we worship God or do we worship the beast?” So worship is very important and the Sabbath is the one commandment that begins with the word remember. So if you can think of any of the other ten commandments that are sort of optional, in other words if I were to say-- heaven forbid, if I were to say to my wife, “Dear, you know, I love you with my heart, so as long as I love you with my heart you don’t mind if I give my body to someone else, do you?” I mean we don’t want to be legalistic and everything. You think she’d accept that? Pastor Doug: No, because so when people say, “I’m going to love the Lord with my spirit but I’m going to break the Sabbath while I do it,” that’s really a cop out. Dorenda: Wow. Actually as you were talking just got a revelation of what that meant to for some reason it was amplified. I’ve heard that, you know, we worship the Lord in spirit and in truth but that is like the word too what God says and I just never saw it like that. Pastor Doug: Absolutely. The highest form of worship is obedience. Dorenda: Workers of iniquity I just read that Scripture this evening, yeah, okay. Pastor Doug: Yup. So go ahead and surf around on that Sabbath truth website, we’re glad you found it, and you’ll see just a lot of good information there, tons of it. Alright, we’ve got a couple of more minutes for maybe a couple more questions, Pastor. Pastor Jëan Ross: Alright, Daniel is calling from North Carolina. Daniel, welcome to the program. Daniel: And I know that there’s other verses in the Old Testament that talks about Elijah being taken up to heaven by a whirlwind, can you explain that to me? Pastor Doug: Now other people did see God the Son but no man has seen the Father except the Son who reveals Him and so that’s why Jesus said, “He that has seen me has seen the Father.” So there are different levels of heaven. You know, Paul speaks about being caught up to the third heaven but not necessarily the throne room of God and seeing the Father. And even Moses, God said, “You cannot see my face and live.” So Christ is the one who came to reveal the face of the Father. Pastor Jëan Ross: And just to add to that, Pastor Doug, no man, as Jesus said, has ascended up into heaven there was no person who has come down in person to communicate what heaven is like other than Jesus. Pastor Jëan Ross: And the question that Christ is dealing with talking to Nicodemus about heavenly things, about spiritual things and He is the only one that has come down from heaven, has ascended up come down from heaven with truth, no man has gone up to heaven and then come back to tell about these spiritual things. Pastor Doug: Yeah, it’s not making an argument, Daniel, that Elijah didn’t ascend to heaven or that Moses didn’t go up to heaven, it’s simply saying Christ is the only one who has come from the presence of the Father to reveal God. Well, let’s see if we can take one more, Pastor Ross. Hope that helps, Daniel. Thank you. Pastor Jëan Ross: Alright, let’s go to Paul listening from Redlands, California. Paul, welcome to the program. Paul: Thank you. Good evening, Pastor. Pastor Doug: Evening. And your question, Paul, we got about two minutes. Paul: My question is about Matthew 19:30, I’m kind of confused on that verse, can you explain it to me? Pastor Doug: I’ll do my best. Paul: Alright, do you want me to read it? Pastor Jëan Ross: You know, Jesus said of the Pharisees, “They have their rewards,” speaking of here on this earth but of course those who were despised by the Pharisees that responded to what Jesus had to say and accepted Him as the Messiah, well their reward is in heaven. So in essence the first, those here on this earth, will be last and those who are considered last here on this earth will be first. Pastor Doug: Parable Jesus told that bore that same principle out, Pastor Ross, is the parable of “The Rich Man and Lazarus.” People always look at that parable thinking about the state of man and death and that’s really not why Jesus taught it. He taught it to say that the Jewish nation was like that rich man, first and rich in this world, blessed in this world and, you know, seemed like he’d had all the favor of God but he wasn’t sharing the blessings with the starving Gentiles who were starving for the truth. And in the judgment the Gentiles found are first, they’re in the bosom on Abraham where all the Jews wanted to be and the rich man is cast out. So there’s a great reversal of fortunes, that’s why friends we can’t just presume because we know about the Lord or we go to church. That means that we have a saving relationship, we need to be seeking first His kingdom and sharing that good news with others. Well, we’ve come to the wind down time of our program. I always like to just remind people here that this is brought to you by you, it’s a faith based program. We hope that if you’ve been encouraged by it along the way that you will become an Amazing Facts partner. Help us reach others. God will bless you for blessing others, friends, we’d love to hear from you. One way you can do it is go to the website and write through at the website that says Contact Us. Send us a note, tell us your story and keep Amazing Facts and this program in your prayers, we believe in the power of prayer. Most of all we want you to have a personal relationship with Jesus because He is the truth that will set you free.